Please join us this Tuesday for the 10th Annual Boston Handbell Festival. 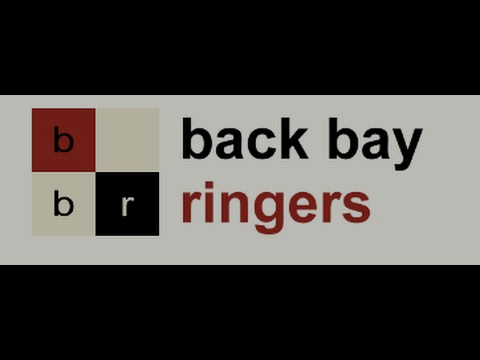 Performing choirs include the Back Bay Ringers, Old South Ringers, Merrimack Valley Ringers, New England Ringers, and special guest choir the Philadelphia Handbell Ensemble. For more information, click HERE. General Admission to the festival is free. A voluntary donation will support the donation of two sets of Choirchimes to Boston area public schools. Old South Church is located at 645 Boylston Street, Boston. The church is accessible by the MBTA Green line via the Copley station. BBR will be featured on Channel 9 in Boston this evening! Click on the box above to see the clip, featuring our very own Donna Matson and Norah Piehl discussing what handbells mean to Boston as well as the special features of this year’s edition of the festival. 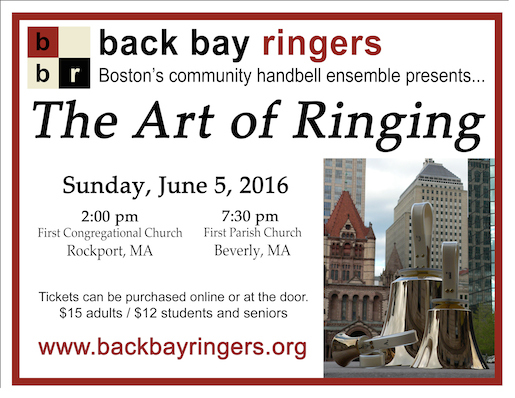 Join BBR for our annual spring season concerts on June 5th in Rockport, MA and Beverly, MA. For more information and to purchase tickets click HERE.